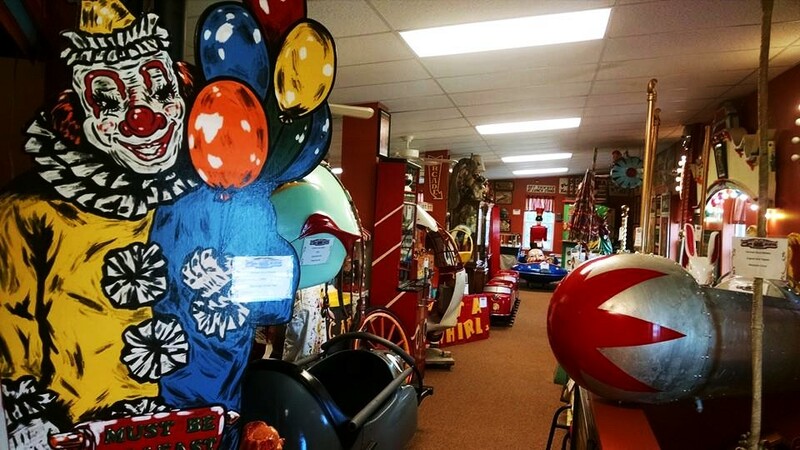 The next time you find yourself in the northern panhandle and want to see something out of the ordinary, take a trip to Moundsville and visit Johnny Shar’s Ice Cream Parlor and Circus Carnival Museum. 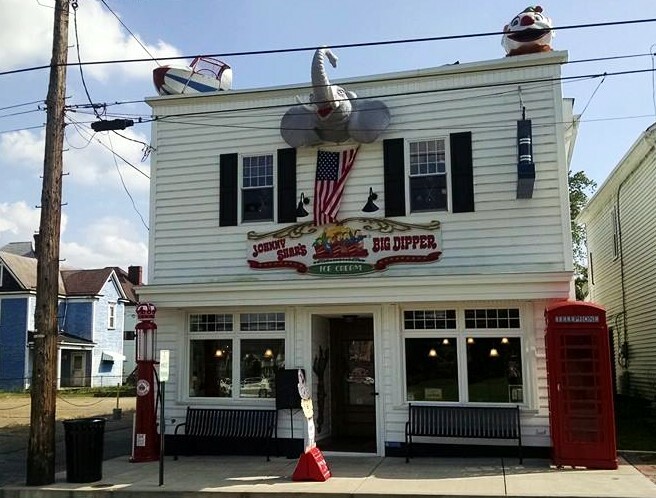 Located across the street from the monstrous West Virginia Penitentiary, Johnny Shar’s is the perfect stop for delicious ice cream, frozen yogurt, shakes, and hot dogs. 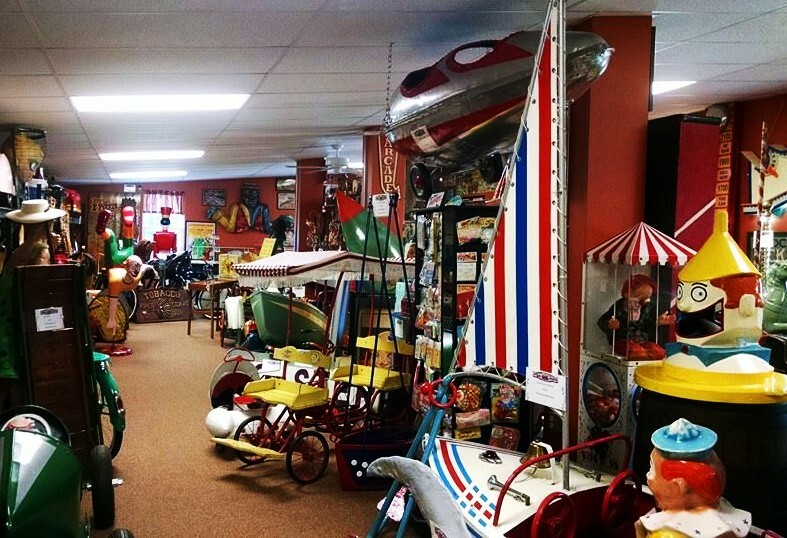 But perhaps the true feature of this shop is its authentic carnival and amusement park memorabilia which dominate the decor, both inside and out. 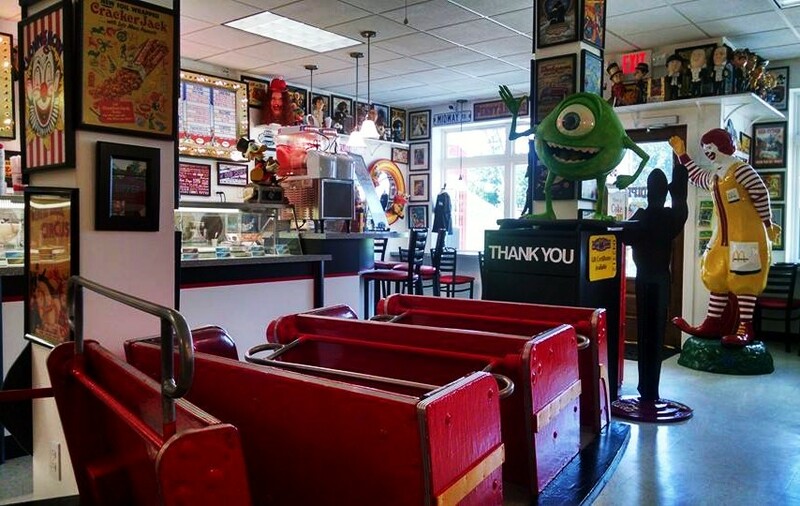 Downstairs, visitors can have a seat in former roller coaster cars, snap a picture with Ronald McDonald, or simply get lost in time while taking a trip through the retro decor. There is also an upstairs museum that is jam packed with rides and attractions from amusement parks, some even from nearby parks like Kennywood just outside of Pittsburgh. Admission to the museum is only $3 and is well worth it. However, I will warn you — if you’re scared of clowns, you may want to think twice because as in true carnival fashion, clowns are everywhere at Johnny Shar’s. 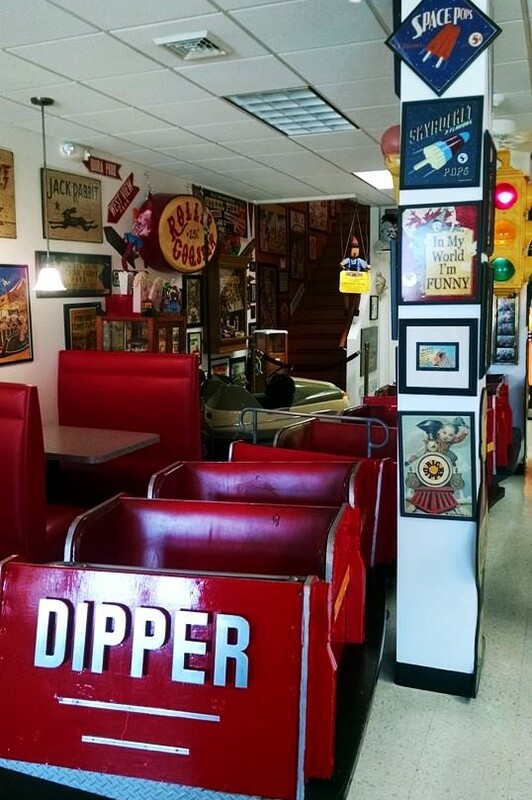 Johnny Shar’s Ice Cream Parlor and Circus Carnival Museum is open April thru October. Hours are 12:00p – 9:30p on Tuesday – Saturday and 2:00p – 9:30p on Sunday. The shop is closed on Monday. For more information, visit their website via the Marshall County Tourism site. Do you have a favorite oddity you’d like to see featured on Mountain State Monday? Comment below and let me know! You may also tweet me @WV_TravelQueen or share it with me on Facebook.